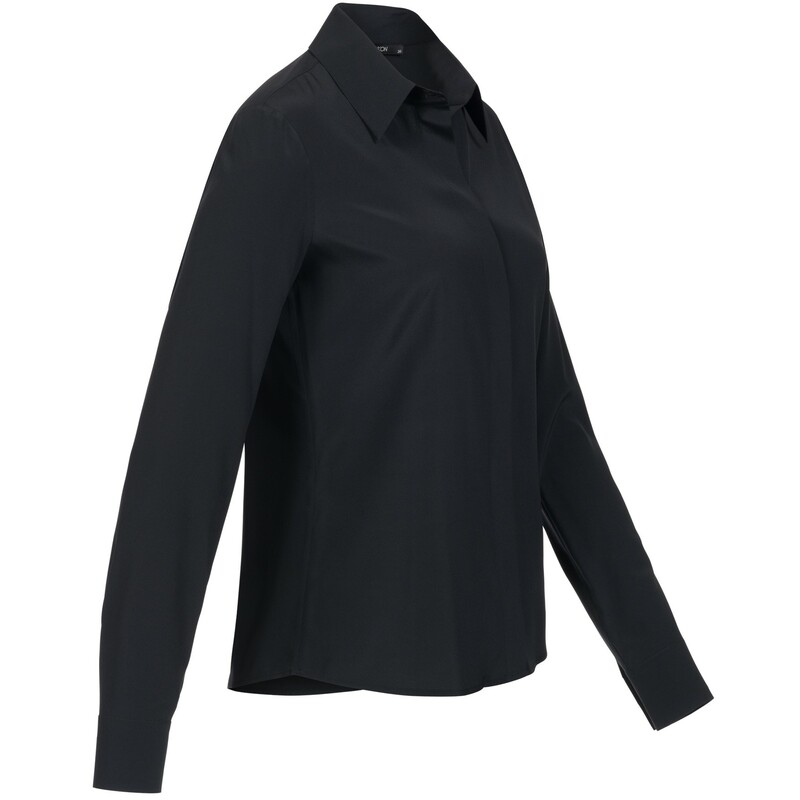 The most beautiful and noble version of the classic blouse with collar and concealed button placket made of elastic crepe de chine silk. 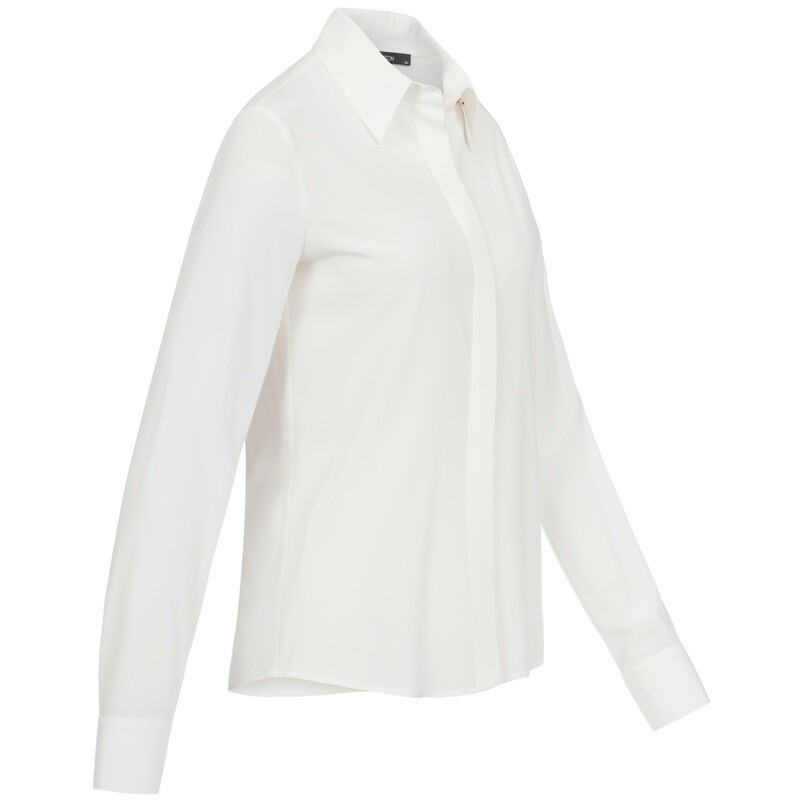 The silk blouse Selena is a basic and must-have, which should not be missing in any wardrobe. 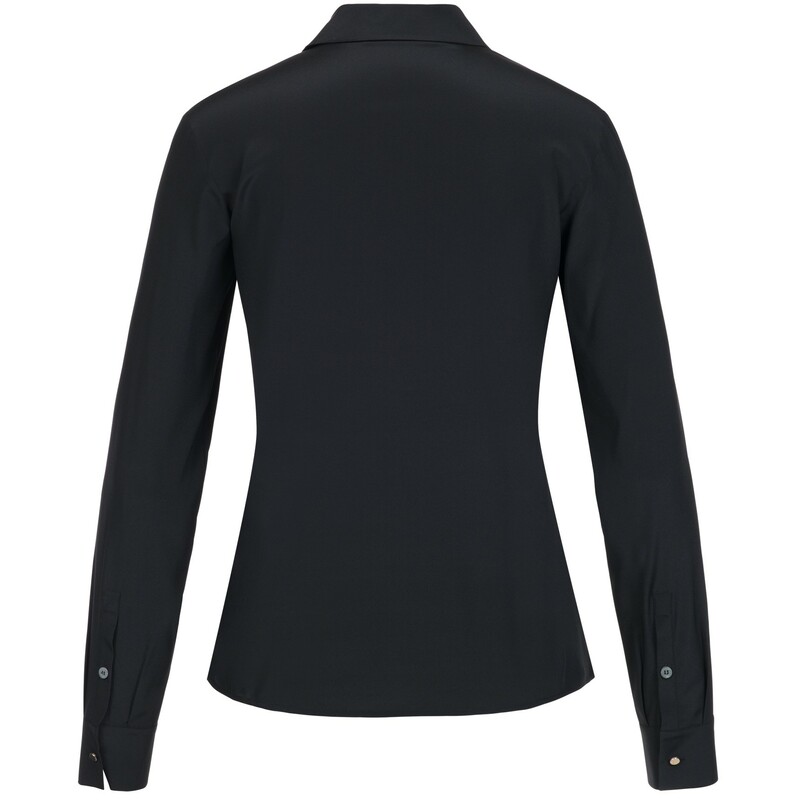 It has a very nice fit, slightly higher collar and wide cuffs with noble lightgold buttons. 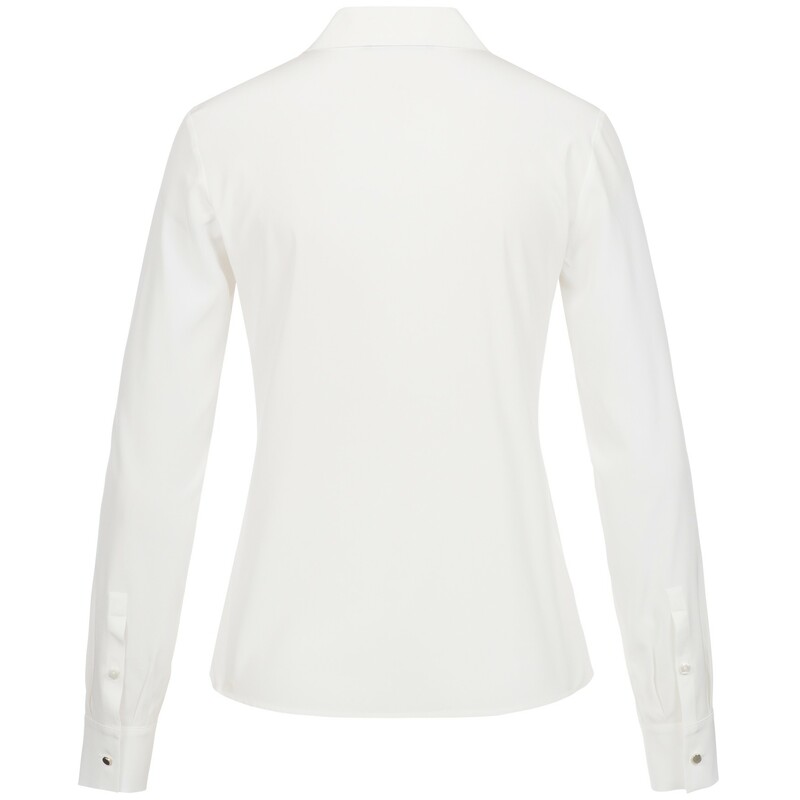 The concealed button facing is provided with fine mother-of-pearl buttons. 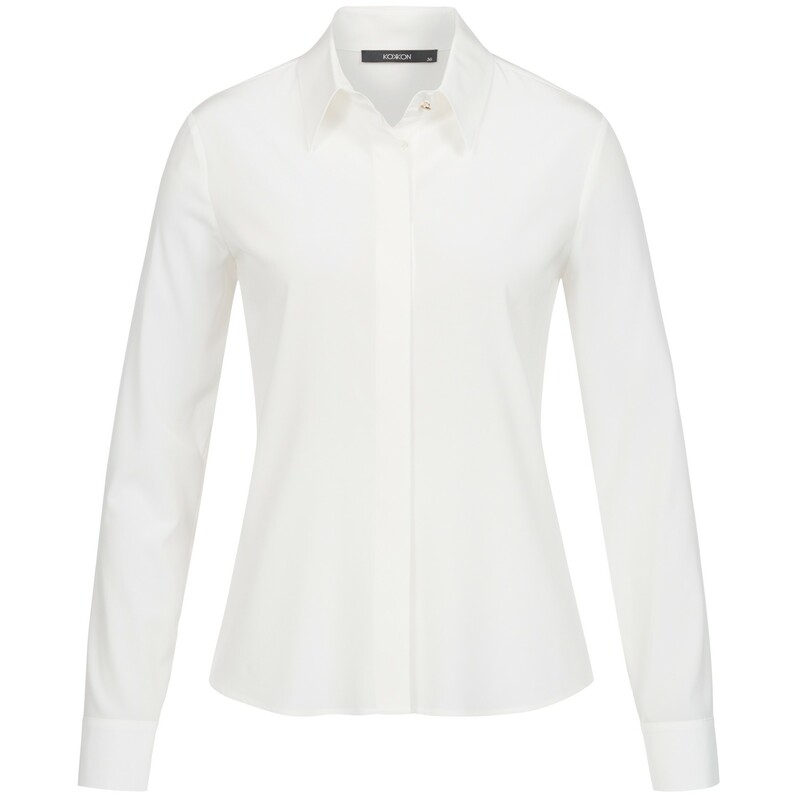 A perfect blouse for every occasion.